One reason WordPress is such an outstanding platform is its highly-active online community. You can always count on help in the support forums, for example, and there are many ways to get involved in WordPress development yourself. The only thing this massive online community lacks is face-to-face engagement with other members. Fortunately, local WordPress communities enable the platform’s diverse users to gather in person at WordPress events. What takes place at WordPress events largely depends on the members of each community, but they’ll commonly host ‘hackathons’, answer support forum questions, and give presentations about WordPress-related topics. Even brand-new users can benefit from attending, in order to learn from experienced designers, developers, and bloggers. In this article, we’ll explain what local WordPress communities are. We’ll also explain why getting involved can be a smart idea, and help you get started. Let’s jump right in! You may know of the WordPress community as an online gathering of users and developers, who help each other and work to improve the platform for everyone. Many users get involved in the WordPress community by contributing to one of several pre-defined teams. Local WordPress communities are a subset of the overall WordPress user base. The defining feature of these groups is that they meet in person at WordPress events, while the community at large is limited to online interaction (since its members are so widespread). These local WordPress communities come in two primary forms: local meetups and WordCamps. Both are managed by a team of deputies, who review official applications and maintain the code of conduct. 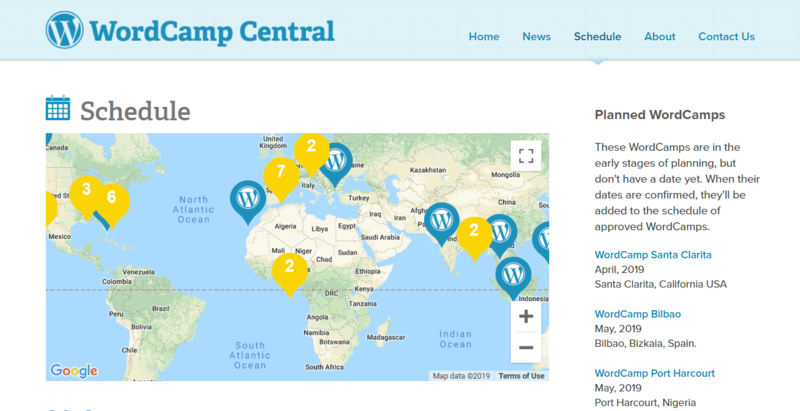 Just as there are WordPress users all over the world, there are local WordPress communities present across the globe, from the U.S. to Chile, Indonesia, and Ukraine. The beauty of these far-flung groups is that WordPress users have a chance to work with each other on platform-related issues that are specific to their own regions. These issues might otherwise get lost among the many discussions taking place within the broader community. There are deputies present on six continents, and many of them speak multiple languages. This helps make local communities available to nearly everyone. Each local meetup is headed by a lead organizer in the area, who puts together regularly-scheduled events. Many groups meet once every month, but the schedules can vary widely. The only requirement for these meetups are that they are WordPress-related and open to the public, and that the organizers and presenters don’t make any money. Everything has to be volunteer-based. Local WordPress events can include informal gatherings, collaborative programming events called ‘hackathons’, and formal presentation series. Official meetups are registered through the WordPress.org chapter account on Meetup.com. WordCamps, on the other hand, are volunteer-run conferences. Tickets are sold to help cover the cost, but the organizers and speakers still don’t make money from the events. The conference format varies, but usually combines informal sessions featuring speakers on a variety of topics with participant-driven ‘unconference’ sessions and other WordPress-related activities. The most significant differences between local meetups and WordCamps are size and frequency. Local meetups can be as small as two people, while WordCamps tend to be much larger. Additionally, local meetups are required to hold meetings on a regular basis, while WordCamps are generally held once a year. Many users treat WordCamps as their local meetup group’s big annual event, or host a WordCamp as a way of generating regional interest. Both types of local WordPress communities offer many benefits to their members. Meetups provide ongoing engagement for those who wish to stay involved throughout the year. As for WordCamps, they often feature job boards where employers with openings can post available positions. Both Meetups and WordCamps provide opportunities to participate in WordPress development, meet potential mentors, and listen to presentations by experienced developers. Of course, the particular benefits on offer will largely depend on the specifics of the local community in your area. Arguably the most appealing aspect of local communities is the chance to be around and talk to other people who also love using WordPress. Some people treat meetups and WordCamps as opportunities to meet new friends who have a shared interest, and even maintain those relationships outside of official events. If you’ve ever felt like you were boring your friends or family members while talking extensively about themes and plugins, joining a local community could introduce you to people who get just as excited about WordPress as you do. The WordPress community, and by extension its local offshoots, is designed to be open to users of all skill levels. Getting involved is fairly simple, and there are a variety of ways you can do so. Simply select the Groups tab to see nearby meetups. You can also enter your city in the search bar to look for upcoming events that are sponsored by your local chapter. From an event’s page, you can request to join the group. This makes it easy to find meetups based on location, or your interest in certain types of gatherings. 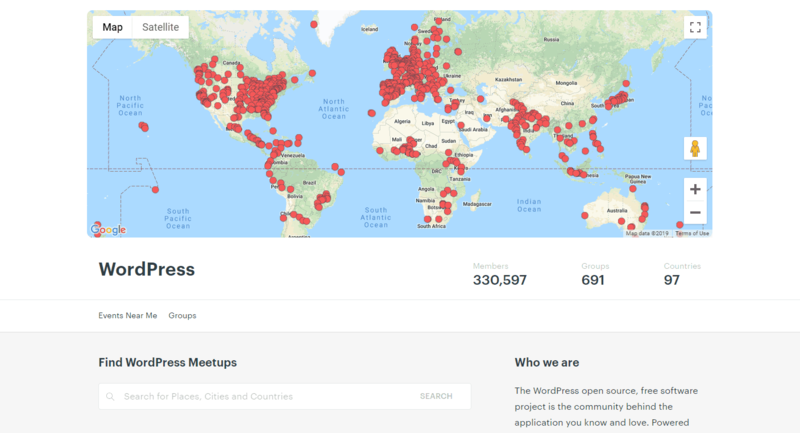 If there are no WordPress communities or meetups in your area, you can always organize your own. You’ll need to fill out a Meetup Interest Form that will be reviewed by the deputies. Once your request is approved, you can add members and host events. If there’s a local meetup in your area, but they don’t seem to be hosting the types of gatherings you’re interested in, consider joining anyway. Any member of a local meetup can plan an event, so if you join you can pitch your ideas to other members, and even host those events yourself. Organizing an event for your meetup consists of planning the event’s activities, finding and booking a venue, scheduling the event on Meetup.com, and then attending and managing it. If your venue requires that you pay to book it, you can fill out the Venue Request Form, and the WordPress community will help to cover the cost. It’s also useful to record your event’s attendance, and create a list of attendees afterward to track participation. Once you’ve found a nearby conference, you can navigate to its blog. There, you should be able to find more information and purchase tickets. Some WordCamps may also have a newsletter you can subscribe to. That’s all it takes to get involved as a participant. You’ll be able to attend conference sessions, and take part in any additional events the WordCamp includes. Since every WordCamp is run by local organizers, they are each distinct. However, most offer opportunities for you to volunteer or speak at the conference. Sign-ups for both can usually be found on the specific WordCamp’s blog. Volunteers handle tasks such as setup, registering attendees, and maintaining food and beverage stations. Helping out with necessities like these is an easy way to give back to your local WordPress community. As for speakers, they can present on a variety of topics, from general subjects of interest to advanced development techniques. Some WordCamps let potential speakers sign up and then go through a vetting process, while others handpick their speakers, or don’t have formal presentations at all. If you are interested in speaking, keep in mind that presentations are meant to be about sharing knowledge, not pitching products or services. Also, local speakers are generally preferred over out-of-towners, so applying to speak at WordCamps outside your area isn’t recommended. If there isn’t a WordCamp in your area, becoming an organizer is always an option. It’s best not to go it alone – organizing an entire conference is a lot of work, after all. WordCamps are usually most successful when put together by a team. If you’re already involved in a local meetup, try asking around to see if any of your fellow WordPress community members are interested. Once you have your team together, you can fill out the Organizer Application to get started. When you get involved with your local WordPress community, you invite a whole host of opportunities your way. The option to tap into the vast resources these groups have to offer, and then return your knowledge and skills back to the community, is part of what sets WordPress events apart from other platforms. Join or organize a local meetup. 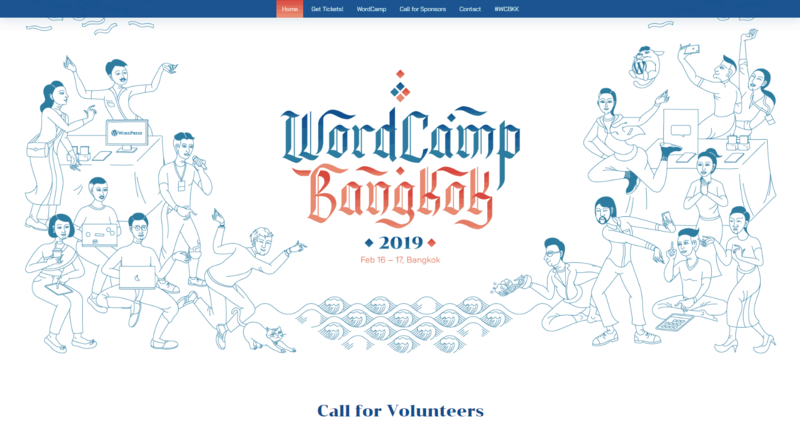 Attend or participate in a nearby WordCamp. How are you involved in your local WordPress community? Let us know in the comments section below!